On Wednesday at noon President Schulz announced the winner of the European Parliament's 2014 LUX Prize for cinema at a ceremony in the Chamber. "Ida" is the story of a young women looking for her identity, an emotional individual story superimposed over the painful past of Europe. 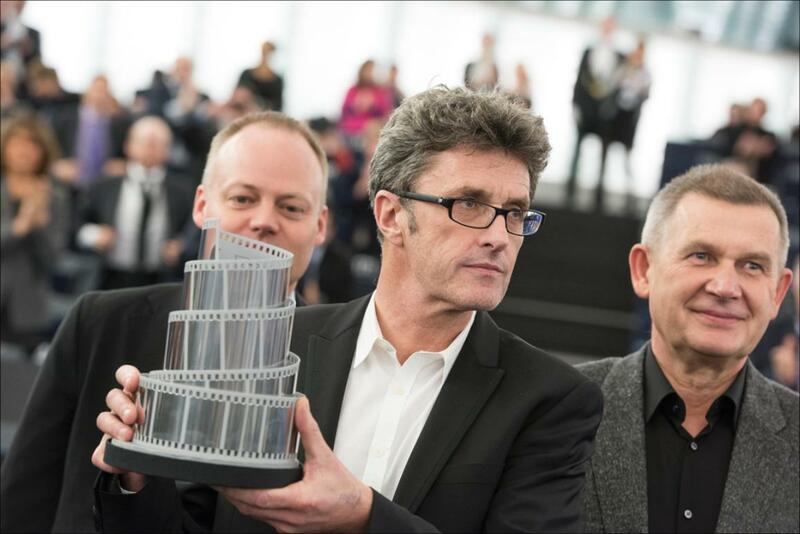 Accepting the award from EP President, the director Pawel Pawlikowski said: "Ida is a film that has succeeded in touching the public across the whole of Europe. This shows that cinema still has a role to play in our society. (...) The LUX Prize established a new award for European film-makers (...) and has also made it possible for thousands of European citizens to join together in experiencing shared emotions." Congratulating the winner, President Schulz said: "European films do not play somewhere, sometime, but they play at specific places and in a specific historical context (...)They allow us to learn about our shared history and about the stories of our neighbours; they provide insights into the reality of life in other countries , and get us to know ourselves and our neighbours better .The stories told by European cinema provide us with a greater understanding of each other and strengthen the feeling of belonging together, overcoming national boundaries." Silvia Costa, Chair of the Committee on Culture and Education said: "The European Parliament's initiative on the Lux Prize is something unique: three movies subtitled in 24 languages, shown in 28 countries, at at least 18 festivals, in more than 40 European cities; debates and talks about Europe, thanks to the same cultural product, It's something that has never been done by anyone. I also believe that we should highlight the attention given to the new generations by the European authors, to the young people that tell about young people, as was the case for this year's finalists. In this way, cinema can become a tool for dialogue and knowledge and help politicianss to truly understand the world of youth, avoiding stereotypes and generalizations." The 2014 shortlist of three finalists also included Class Enemy (Razredni sovražnik) from Slovenia, by Rok Biček and Girlhood (Bande de filles) from France, by Céline Sciamma. Parliament gives the award each year to help promote films that go to the heart of the public debate in Europe. Films which have made it onto the shortlist have been subtitled in all of the EU's 24 official languages and were shown to the public during LUX Film Days in all 28 Member States. The final winner is chosen by a ballot of MEPs.